Providing guaranteed pest control for ants in Phoenix Valley areas with responsible methods that treat the colony at it’s source. For effective Ant Control, it’s important to find and correctly treat the nest so the same ants don’t come right back! Different types of ants have different nesting / feeding habits that should be used to help control them. Locating ant nests is CRUCIAL, at minimum determine whether ants are coming from inside, or outside. Ants will return if you fail to treat the nest. Openings around incoming pipes, utilities, door frames, window frames, ect, should be caulked around to seal. Replace old weatherstripping and door sweeps. This includes treating ants at nest, and interior/exterior perimeters to prevent entry. This will include aphids if ants are feeding on their honeydew. Remove all other sources! Baiting is often the most effective way to eliminate the entire ant colony! A few ants take bait back to feed the entire ant colony with! When applicable remove plants that attract ants (nectar plants), trim trees and bushes touching structure (these can assist ants in entering a structure), reduce moisture sources. Eliminate APHIDS Most ants are attracted to the “honeydew” produced by Aphids including: Acrobat ants, Argentine ants, Carpenter ants, Cornfield ants, Field ants, Larger Yellow ants, Little Black ants, Little Fire ants, Odorous House ants, Pavement ants, Pyramid ants, Red Imported Fire ants, Small Honey ants, Southern Fire ants, and Velvety Tree ants. Ant colonies can range in number from 300,000 to 500,000! Entire colonies can uproot & relocate quickly when threatened. Scientists estimate that for every person on earth there are 1.5 MILLION Ants! Ants are social insects, and live in COLONIES usually underground, but also enter homes and buildings for food or shelter. 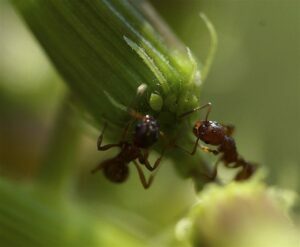 Ants eat practically every kind of food, but Ants entering homes are looking for sweets or protein rich food sources. 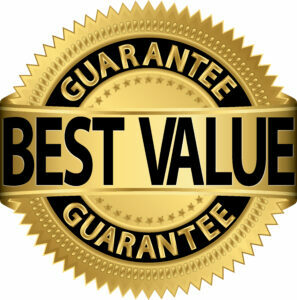 Providing GUARANTEED Pest Control in Phoenix, Mesa, Scottsdale, Glendale, Chandler, Gilbert, Queen Creek, Maricopa, & surrounding areas.